At our dental centre in Midland & Collingwood, ON, we use bonded fillings and modern, tooth-coloured fillings that are made out of durable resin. If you’ve ever had a cavity before, your dentist may have remedied the problem with an unsightly metal filling. 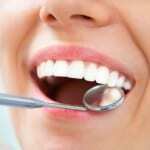 At Georgian Shores Dental Centre, we use bonded fillings and modern, tooth-coloured fillings that are made out of durable resin. These fillings can be bonded to your teeth in one visit to our office and result in a strong, more natural-looking effect. 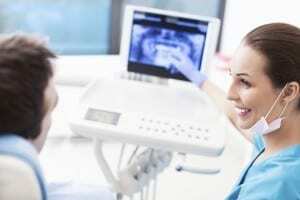 While bonded fillings can be used in a variety of different dental situations, the main benefit is that the application process is relatively comfortable. At Georgian Shores Dental Centre, the dental professionals who work at our office in Collingwood, Ontario and those who practice at our location in Midland, Ontario are dedicated to your overall comfort while you are receiving care. We are more than happy to provide you with more information about bonded fillings, when they are used, what the application process entails, and what their limitations are. Contact us today to speak with one of our friendly office professionals to obtain the information you’re looking for or to schedule an appointment with us. At Georgian Shores Dental Center, we offer bonded fillings at our Midland and Collingwood dental clinics for residents of Collingwood, Creemore, Midland, Nottawa, Penetanguishene, Perkinsfield, Port McNicoll, Stayner, Thornbury, Victoria Harbour, Wasaga Beach, and Wyevale, Ontario.